Whether I’m speaking publicly, having an intimate conversation with others, or writing a post for my blog, without fail, I often get this question: “How can I become my own boss and work from home?” Although individuals pose the question and have the desire to do so, it appears they feel such a brazen thought is unattainable for them. Since the concept is so foreign and alien, they don’t entertain that notion for too long. They continue to work in inflexible jobs. But there’s great news! Of course you can be your own boss! Of course you can work from home! I have written about this topic and shared precisely how you can do so in articles for international publications, Leslie’s Lane blog postings and in my new book entitled: Leslie’s Lane The Book! Your One Stop Internet Resource Guide to Links for Jobs, Inspiration, Discounts, FREE Stuff, Scholarships, Travel and More! (Amazon $14.95). So you’re searching for full-time, part-time, one-time, seasonal or supplemental income? No worries! 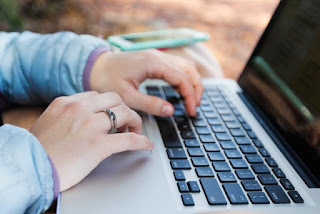 Check out a few of my favorite sites that allow you to get paid as you work from home! 2. Clark Howard – http://www.clark.com/work-home-guide – Okay! Clark Howard is my hero! I’ve interviewed him a few times for my publications. He really does his research and consumers can trust what he says. While viewing his site, you’ll see gigs from international companies such as Amazon, Google, About.com, Hilton Worldwide and Xerox. But at the same time, explore and grow with new companies on the horizon such as Cashcrate.com, eJury.com, Foap.com, Zintro.com and Elance.com. 3. Mystery Shoppers, Inc. – http://www.mystery-shoppers.com/ – Oh yes! I love this! You get paid to call doctors’ offices to gather info and apartment rental offices to pose as a tenant. Get paid to do some online shopping at stores too. An added bonus is that you earn cash for doing what you already want to or have to do outside of the home! You have to go to the bank, get fuel from the gas station and go to the grocery store. You would like to go to nice restaurants for dinner, take the pet to the vet and spend time at luxury hotels! If you become a mystery shopper, you can enjoy all these perks!